I read this article and wanted to share it with you: Why You Probably Won't Do Every Sonlight Level & Why That's Okay https://blog.sonlight.com/every-sonlight-level.html. 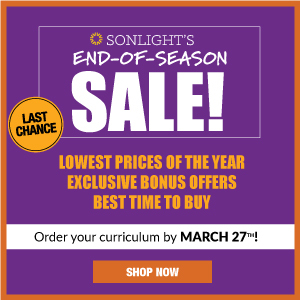 Sonlight offers a whole array of curriculum from preschool through graduation. 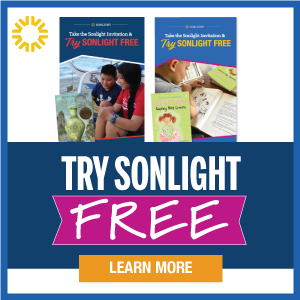 There are so many options that many families aren’t able to use each and every program even if they are committed to using Sonlight for K-12. 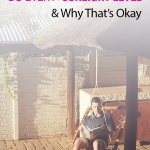 When I began homeschooling, the thought of my children not doing every level terrified me. My mind insisted that skipping a level was equivalent to skipping a grade. Now I know that isn’t true. Out of my seven students, three of them are in or finished with high school, and my plan for each child looks totally different. Only one child will do all the Sonlight levels. The other two are in college already, and it hasn’t hurt them to have skipped a level here or there. One thing that helped me realize it’s okay every child doesn’t take the same classes was remembering college. My first degree was a two-year LPN (licensed practical nurse) degree at a small-town college in Minnesota. In the heart of farm country, the college offered a surplus of agricultural courses. Reading obsessively through the course catalog on a quest for interesting courses, Sheep Shearing caught my eye. Located between Lamb and Wool Management and Equine Production (neither sounding interesting), Sheep Shearing beckoned to me. Although I had no interest in shearing sheep, I suddenly wanted to know how such a specific topic was worth 3 credit hours! I was tempted take the class to find out. Of course, that would mean paying for a class I didn’t need and touching a sheep. I never found out the secrets, but it made the list of classes I wanted to take some day along with Metalworking, Wind Band Conducting ( I’ve never played a wind instrument), and Egyptology. Thinking back, I realize somewhere out there is a student who did take sheep shearing that year and found it very useful. Like me, this unknown, imaginary student, could not take every class offered by the college. Thousands of students passed through that college while I was there, and only 32 of them were in my classes, taking the same courses I did. Everyone else was doing something different. Of course, I never thought my education might be inferior because I didn’t take every single class offered at the college. The principle applies to Sonlight, too! 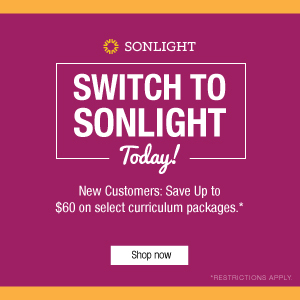 Sonlight offers more courses than your child needs. This abundance means you have flexibility! Your child, like my 14-year-old, might take and enjoy them all. He’s done everything from Preschool to currently 200, and is likely to finish every single program offered. Or you have a child like my 18-year-old senior who will take most of the courses, but might miss a couple along the way. She got a little behind when dyslexia made it hard for her to finish a History / Bible / Literature (HBL) program in a single year. Perhaps you might find, like my 19-year-old former foster daughter, that life interferes and you simply don’t have the time or the opportunity to do them all. All three of these children are doing well in life. They all have their own goals, and their futures don’t all look the same. And that’s okay. They are all thriving. 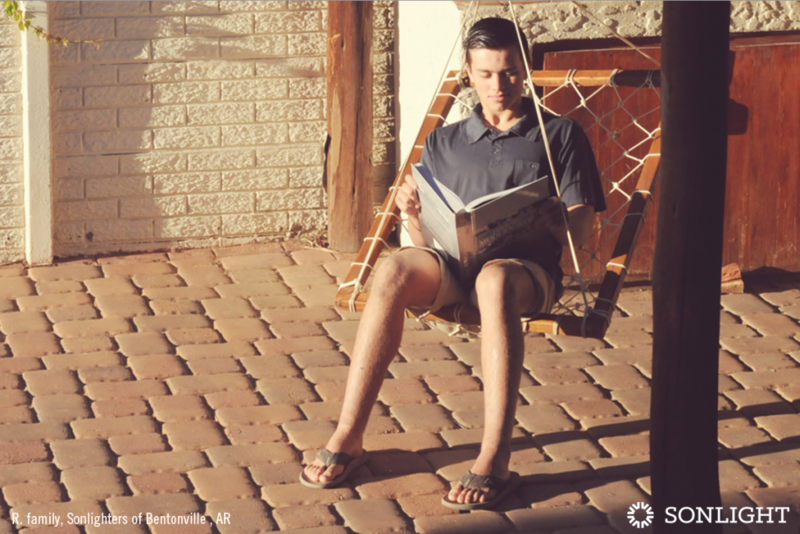 If your child doesn’t get to every HBL, if you skip books, or if you simply choose to not do every level, you are no different from the student who took Sheep Shearing. Your child’s path might not include every level, but it is no less wonderful for that. 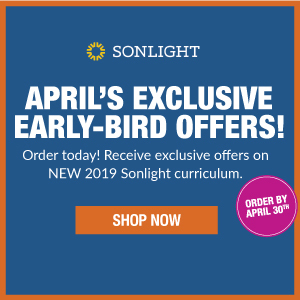 Sonlight has so many enticing courses, especially in the upper grades! History of God’s Kingdom (200) tempted me for years before I had a child ready for it. History of Science (HBL J) hooked me before I even peeked at the book list. 20th Century World History (300) is a topic I feel is very important. But, none of these are required for high school graduation or college admission. They can be used for high school credits, certainly, but if teens don’t take any of these, they will still graduate and can still get into a good college. Children tend to throw our best-laid plans into turmoil. A friend of mine took her child out of public school in fifth grade and promptly planned out his curriculum through graduation. 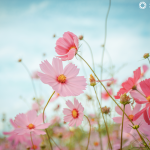 She carefully researched her options and painstakingly choose each course with great care. Last year, as a junior, he looked over her plan, and decided to skip everything except one more level of math in his senior year, giving him just enough credits to graduate. Then he got a job and is saving money for college next year. Another friend has a child who simply didn’t want college. He graduated, got a job in his desired field, and quickly worked his way up the ranks to a medium-level position within a year. Children rarely follow the plan as written. You might decide to do all the Sonlight courses with your child, but your child might not want to do them all or might wish to do them in a different order. Go ahead and plan if you enjoy that! But don't get too comfortable with your plan. Be willing to change it. It’s so easy to focus in on that end goal of high school graduation. However, that’s not the end of your child's education! One of my children took the next HBL with her to college to have good books to read in her free time. Another one of my children has taken an extra year for high school, taking part time dual enrollment courses and doing an extra HBL at home as well. 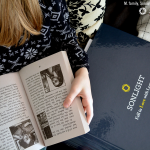 I enjoy reading Sonlight books for myself at home as an adult. You can also complete the levels non-traditionally. 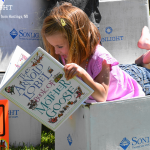 You might add in books over the summer or have an older child read material they skipped a few years ago. 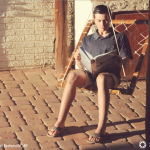 Learning doesn’t need to stop just because school does. 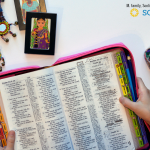 No matter what that final transcript looks like, your child will have a high-quality, solid, Biblical education with Sonlight. “[Elizabeth Ann] had always thought she was there to pass from one grade to another, and she was ever so startled to get a glimpse of the fact that she was there to learn how to read and write and cipher and generally use her mind, so she could take care of herself when she came to be grown up. Of course, she didn’t really know that till she did come to be grown up, but she had her first dim notion of it in that moment, and it made her feel the way you do when you're learning to skate and somebody pulls away the chair you've been leaning on and says, 'Now, go it alone!'" If you need help mapping out a plan for your child's curriculum choices, Sonlight has homeschool consultants available to help. Click here to schedule an appointment.